The White Mountains, by Chuck Theodore, 1997. 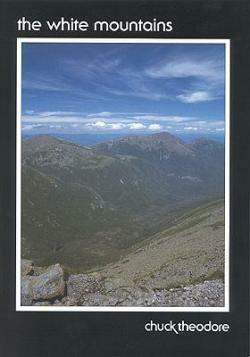 In this souvenir color photo book, Theodore, a well-known White Mountain photographer, presents 39 spectacular images of mountain landscapes, waterfalls, flowers, ponds, rivers, foliage & more. 32 pp, 7” x 10”.